Thanks to the review from fellow food blogger and friend from World of Eats, I couldn't wait to try Pollo Amigo. And very similar to his review, I thought for $6.95, 1/4 of a chicken and two sides can't be beat, not to mention the chicken itself was flavorful and moist! 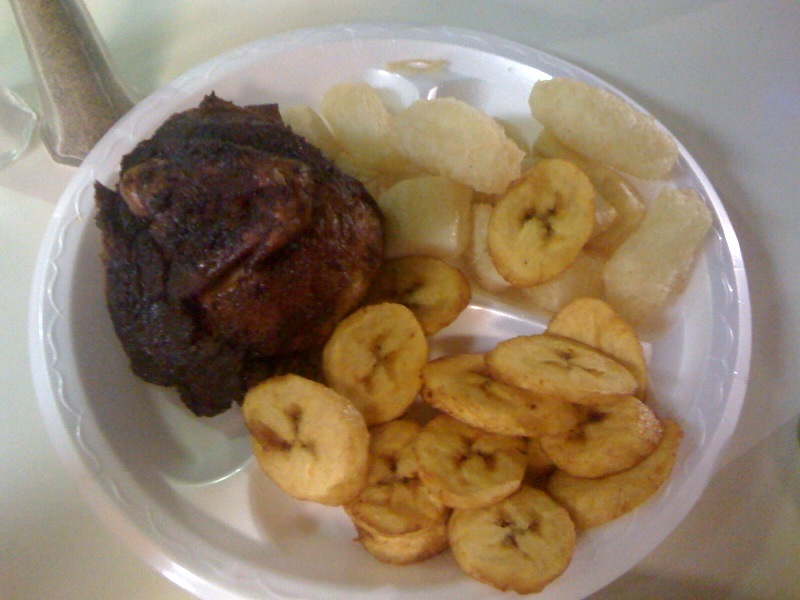 I warn you however, DON'T be like me and order the plantains AND fried yucca for your sides - you'll be yearning for something other than starch! I thought the yucca was absolutely excellent, so definitely stick with that and maybe opt for the salad as well.